Dipankar Kalita has successfully raised funds & reached the goal amount. We thank all the 110 generous supporters for their kindness. 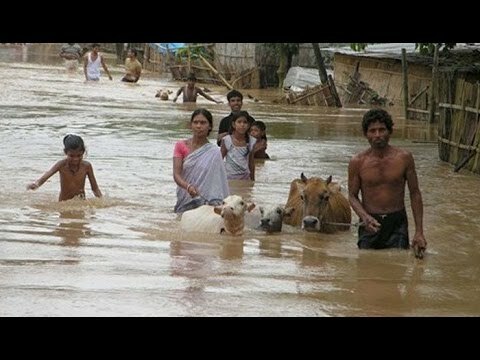 The flood situation in Assam is grim once again. We will use this fund for immediate relief for the victims. The flood situation in Assam continued to remain grim with the number of affected people rising to over 1,8000,000 till date. 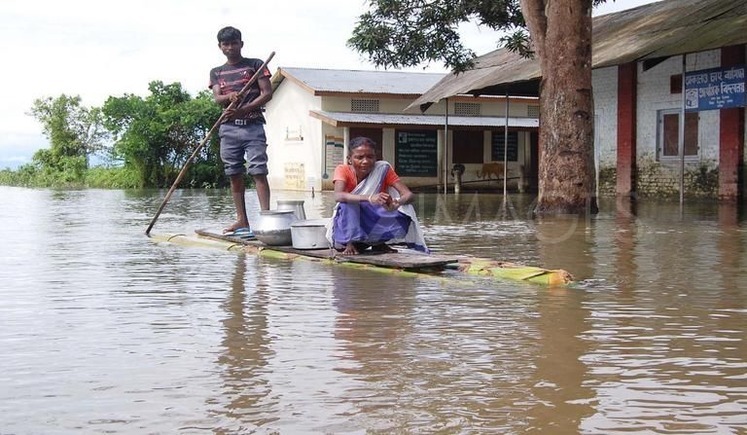 The Brahmaputra River and its tributaries have burst their banks, flooding roads, highways and villages in more than half of the region’s 32 districts. 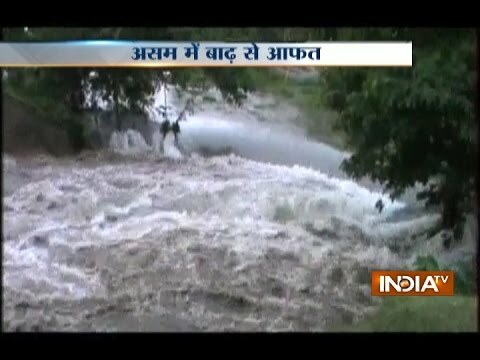 Floods have damaged roads and cut off communication in several districts. As many as 26 people have reportedly died till today and scores of animals have either been killed, washed away or are endangered. The situation remains critical in the coming days, as heavy monsoon rains have been forecasted for the next couple of days in Assam. This is one of the worst situations Assam has seen since many years. While nature is beyond our control, we can definitely do something to minimize and relief the pain of the victims. Through this campaign we are making an effort to provide emergency relief to the victims. For every contribution you make, our ground team in Assam will distribute relief materials to certain districts and places hit by this crisis within the state of Assam. We plan to distribute emergency relief kit that will consists of - 1) Food Material 2) Blanket 3) Sanitation and Hygiene Items. You can get more updated details on this campaign at this page. Feel free to ask Dipankar Kalita for a new update on this Fundraiser. a) All thanks to our donors who have supported us for this cause and we have managed to collect an amount of Rs.102,773 backed by 107 people. I would also like to thank my friends and colleagues who have helped us to share the details of this campaign to many others. We will make sure that this support from you all will be utilized to the best and would be channelized to make the maximum impact on the ground. b) Our team of volunteers in Assam has visited a number of temporary relief camps to get an idea of the prevailing condition and also to shortlist on the items which has the utmost requirements. Based on their feedback, we have come up with the list of items to be included in the relief kit and have also decided on the villages for relief work. We plan to do it in 2 phases. We will have our first relief work in two villages in Morigaon District and the second one in one of the villages in Sonitpur District which had faced major damages during the calamity. We will keep this Ketto page up and running until we finish all the phases of planned distribution of materials. c) We have also shortlisted on the items for the first camp at Morigaon. I will keep you posted if there is any addition to this list. These items would be distributed to around 200 households (Families) in form of a relief kit in the first phase at Morigaon. d) Apart from the materials that we are buying from this generated fund, our volunteers in Guwahati have collected clothes and other necessary articles which will also be distributed among the flood affected people in the camps and villages. A truck has been arranged to transport the materials from Guwahati to the flood affected areas. We plan to have our first relief work starting next week after Independence Day and I will keep you updated on the same. Once again I would like to thank you all for your kind help and support towards this cause. At the outset let me thank all of you for your generous support. The support from you guys have given a life to this effort and have boosted our confidence. a) Our campaign has been backed up by 70 people and we have been able to raise a sum of Rs. 52,172 which is just more than 50% of our target amount. ( Figures are accurate to the time of drafting this). I would like to wholeheartedly thank our donors for the support. b) The strength of our volunteers for various on ground tasks in the relief camps has now increased to 12 and counting. Ground Tasks includes but not limited to the collection of information of the relief camps in the affected districts from the District Administration, smooth execution of the distribution of the relief materials, taking care of the transportation of the materials along with the volunteers and many more. All the Volunteers will be active on floor as soon as the first dispatch of the materials will happen. I will share the details of the volunteers on ground in my next update. c) Selection of the Relief materials is something that we are still deciding on. We will be providing the materials in a form of a kit which will contain multiple items. We plan to distribute a kit to each affected family. With the inputs from the volunteers on the ground, we have come up with a probable list of items that might fit in a relief kit. Please suggest any other items which you feel would be useful for the affected people. d) In terms of selecting the relief camps, we are still working with the district administrations in the flood affected districts on getting the updated lists and also planning on our end on the ways of delivering the materials. However we will make sure that the aid reaches to the most needy ones and at the earliest possible. I will keep you posted on this. That is all I have for now. In case if I have missed to provide an update on anything or if you want to know any other details on the campaign, please free to reach out to us. 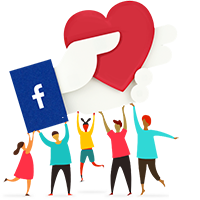 Till then keep sharing and supporting us so that we can make an impact at the ground level at the earliest ! Your message will be directly emailed to Dipankar Kalita and you will receive his/her response on the email address entered below.